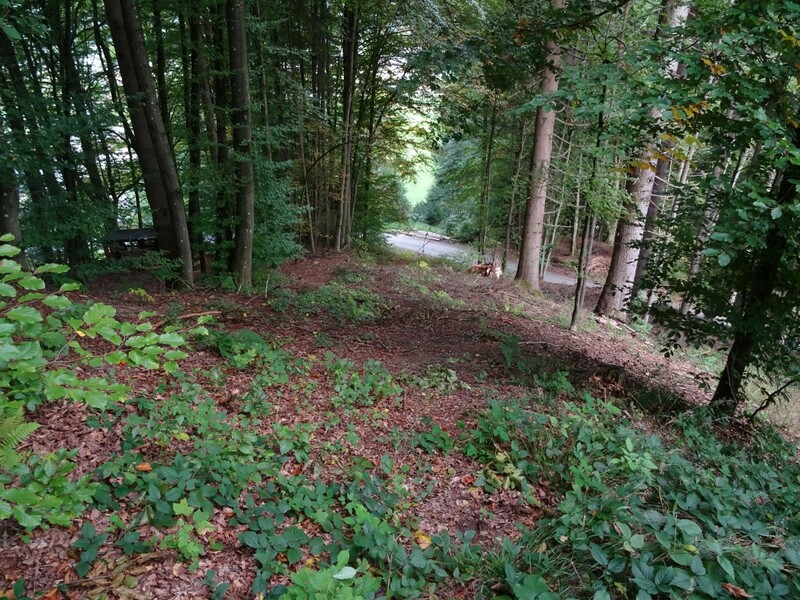 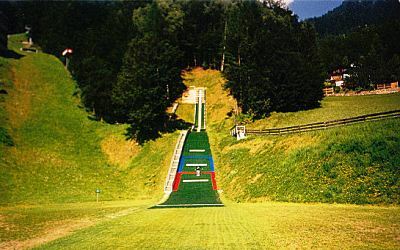 Already in the year 1928 Wasserfallschanze at Bischofshofen was constructed and allowed distances of more than 40 meters. 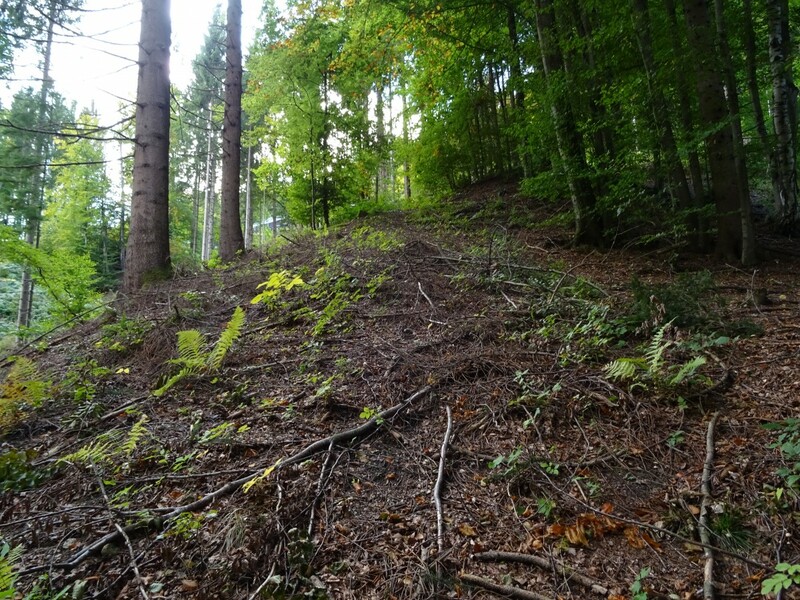 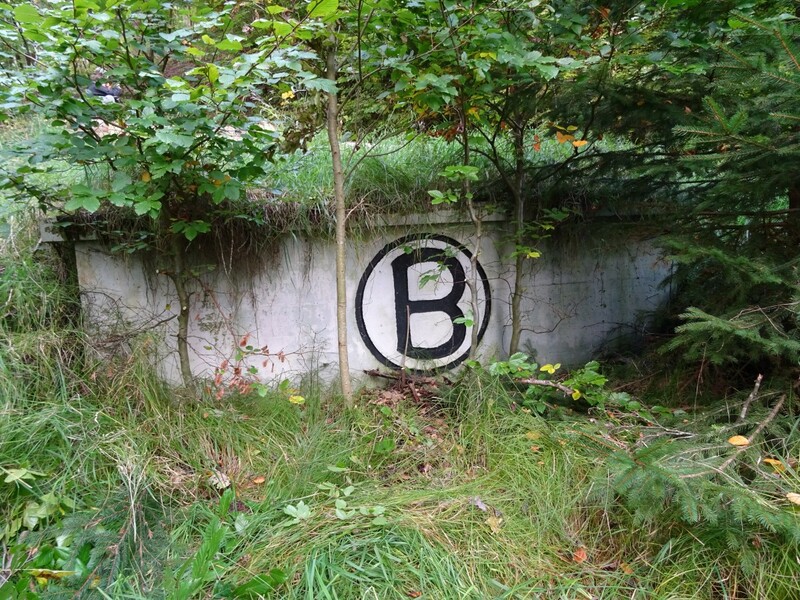 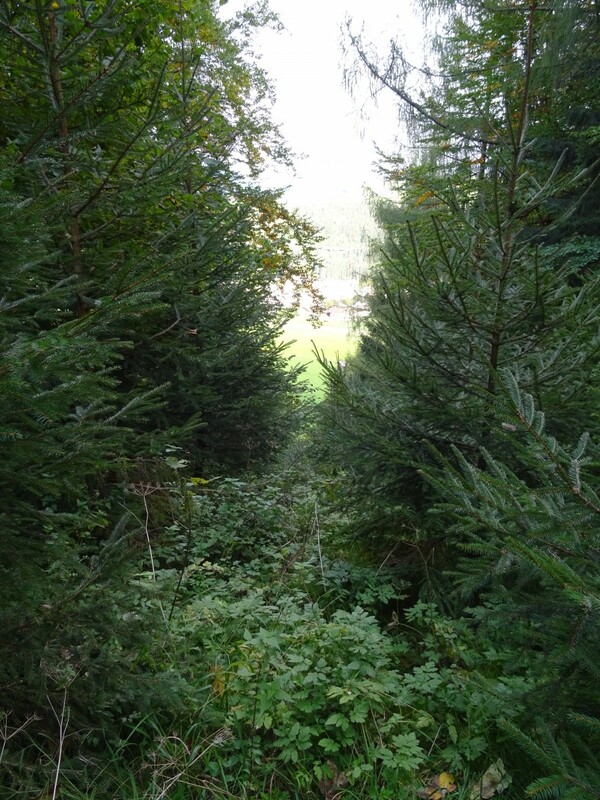 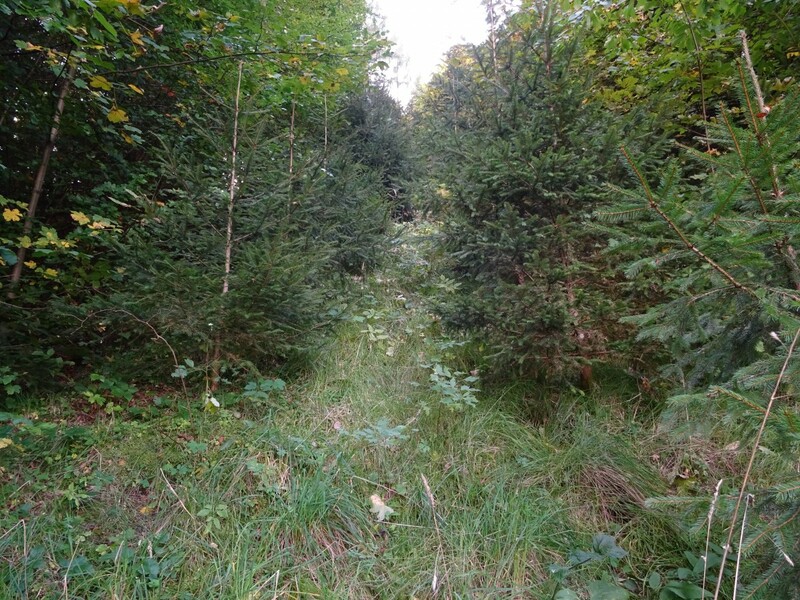 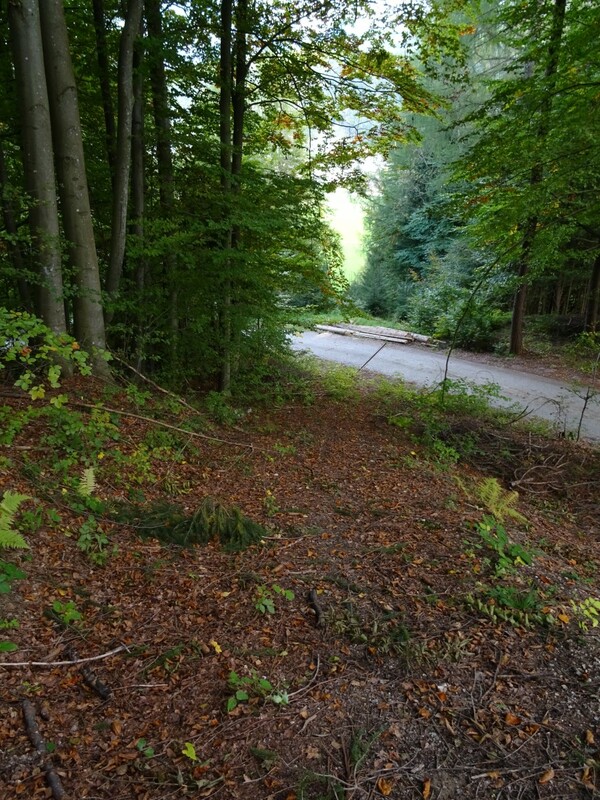 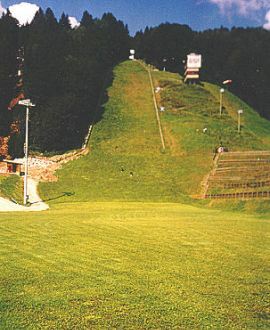 Briefly after World War II in 1947 the Hochkoenig-Schanze was built at Laideregg. 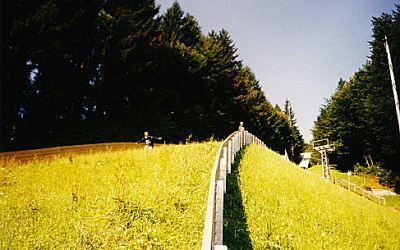 On 1947-12-26 the opening competition was held and Sepp Bradl jump a first hill record of 86 m.
In the following years different improvements like the establishment of a timber construction for the ski jump table and the porch were attached (1950). 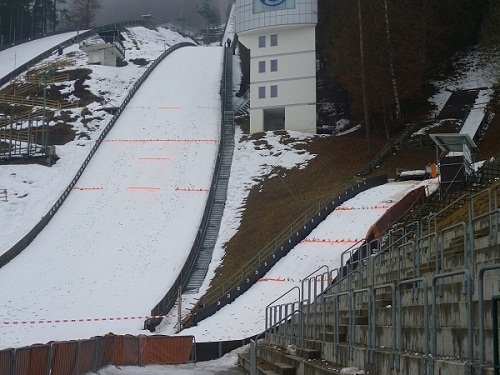 By a tragic accident when training jumping for the three-kings-competition the native ski jumper Paul Ausser­leitner hurt himself so heavily that he deceased at the consequences at 9th January 1952. 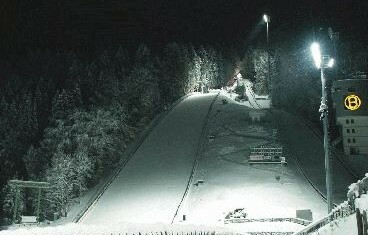 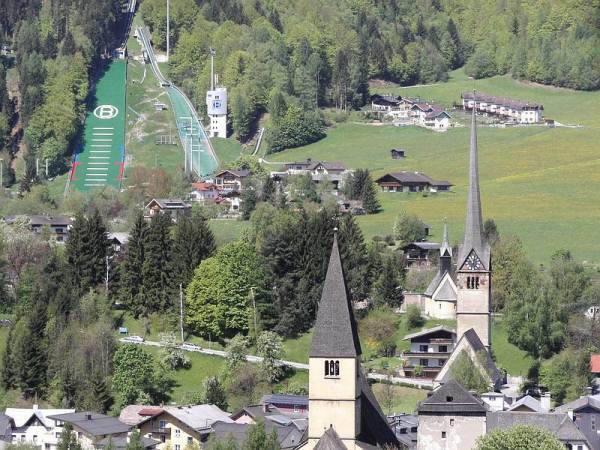 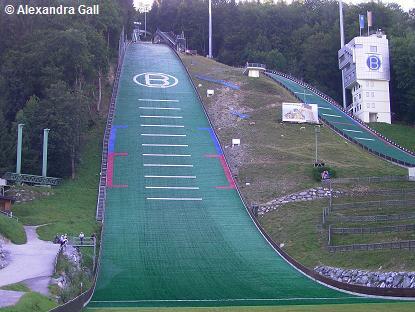 Since then the ski jump at Laideregg has been carrying his name. 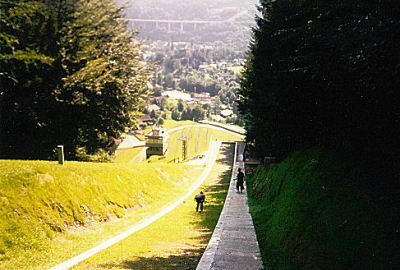 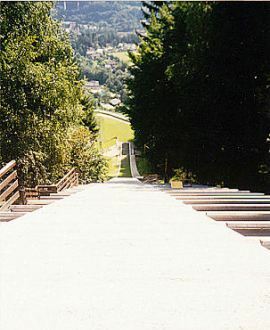 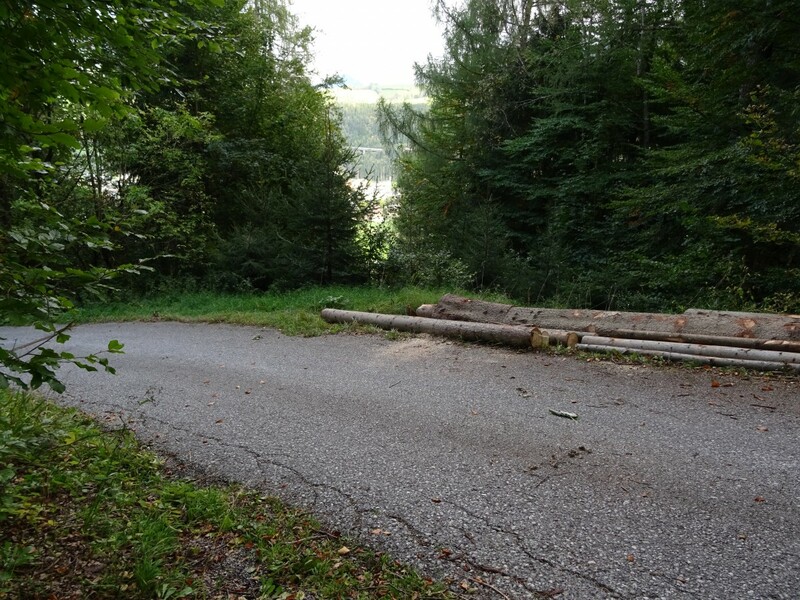 In 1953 the ski jump received a wooden 19.10 m high judge tower and 10 years later the described timber construction was replaced by a ground filled new porch and a ski jump table of concrete. 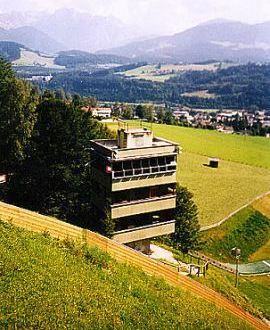 Finally in 1972 a new judge’s tower was built out of steel-concrete, but in 2002 it was blown up and replaced by a new one. 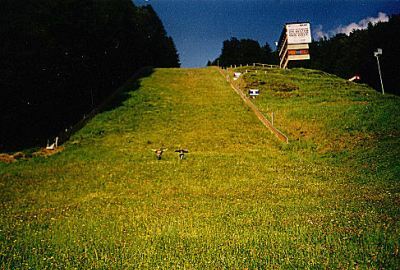 The “hanging” outrun was a very special characteristic of the Paul-Ausser­leit­ner-Schanze, because the area was a slope through the eyes of a jumper. 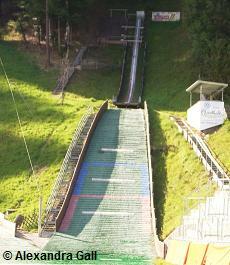 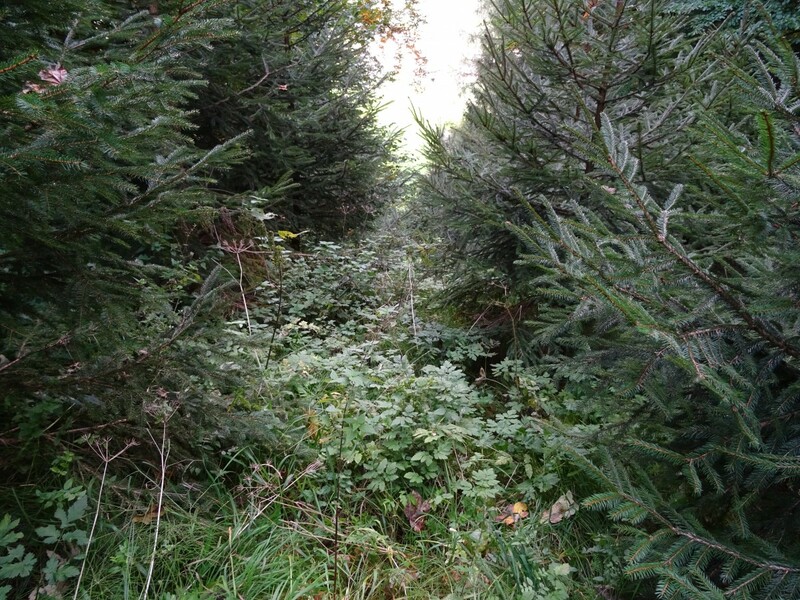 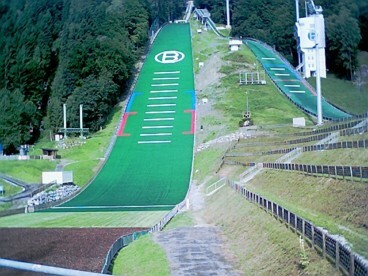 But with further measures the still so called natural jump was modernized. 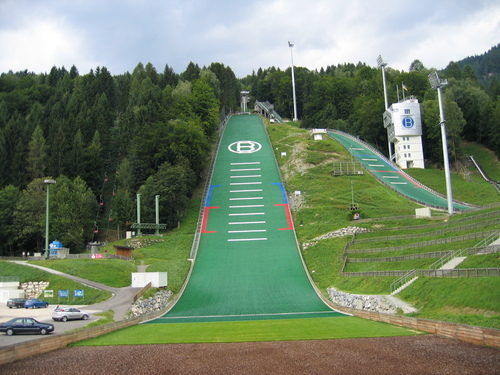 1982 the landing angle was changed to 37° and the takeoff was shortened by 5 metres. 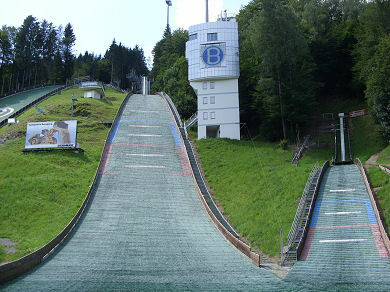 The inrun, which had been built into the terrain before, got a wooden tower with concrete and a steeper angle of 27°. 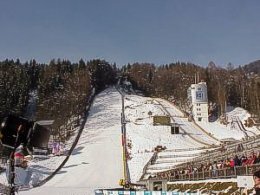 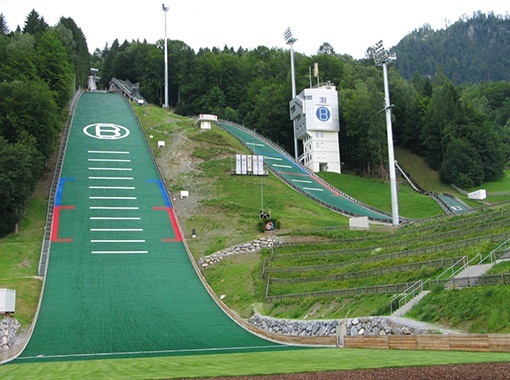 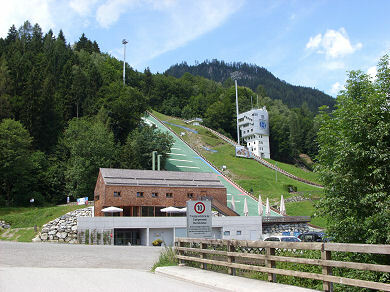 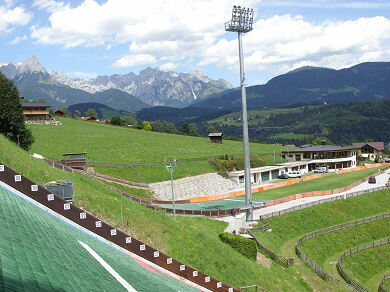 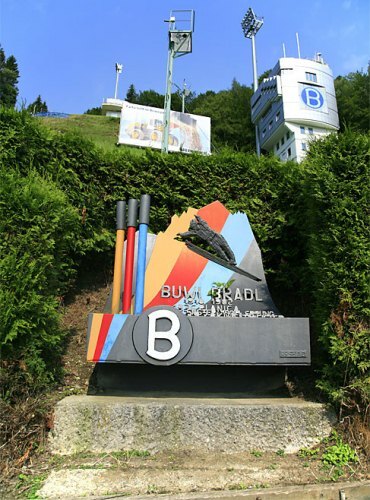 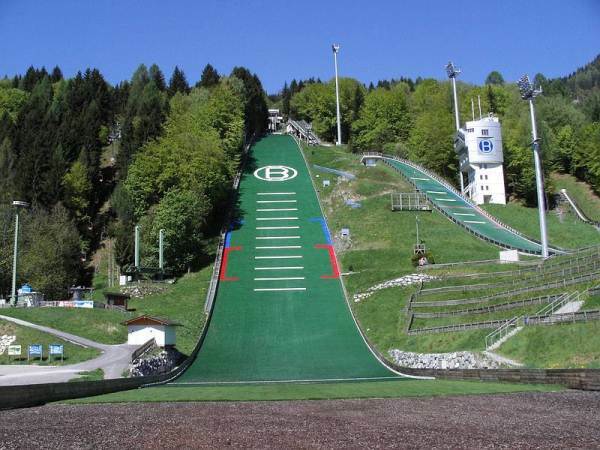 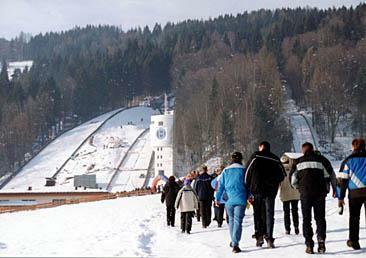 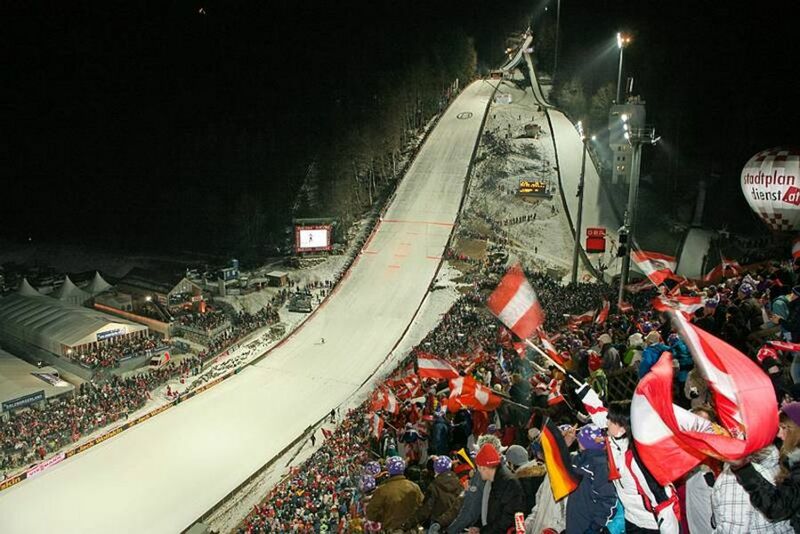 In 1991 the outrun was changed, the complete facility adapted to FIS regularies and the K-Point changed to 120 m.
A new ski stadium with natural stands was built and named Sepp-Bradl-Stadion. 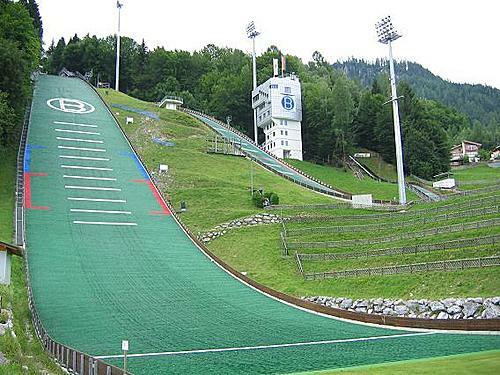 Because of the Nordic World Cham­pionships 1998 the stadium retained an organization and press centre and a new lift. 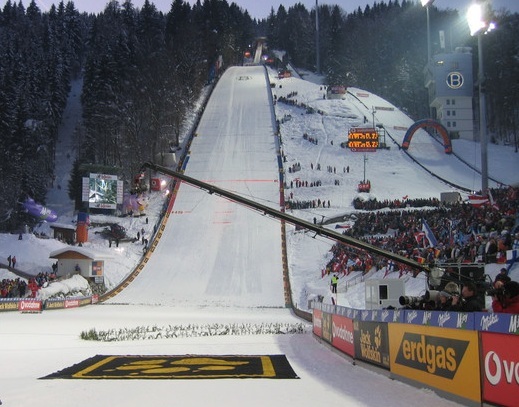 The Paul-Ausserleitner-Schanze indeed wrote ski history with the large hill competitions on the occasion of the Nordic Ski World Championships in Ramsau 1999, when the German ski jumpers Martin Schmitt and Sven Hannawald achieved an unexpected double success. 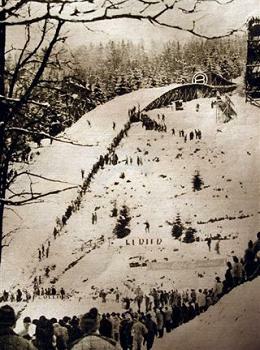 The dramatic competition around the team world championship, in which the German team achieved the title before Japan and Austria despite two falls, especially the German spectators shifted into bright excitement. 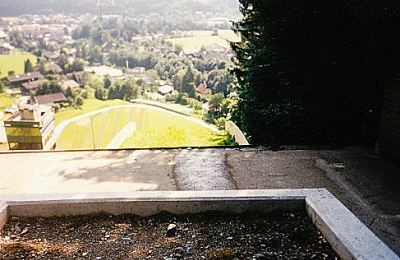 2000 the judges tower was blown up a new one was build. 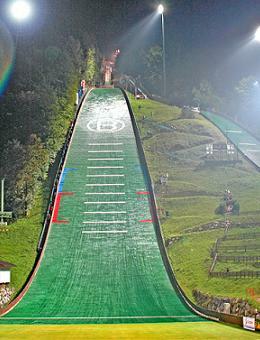 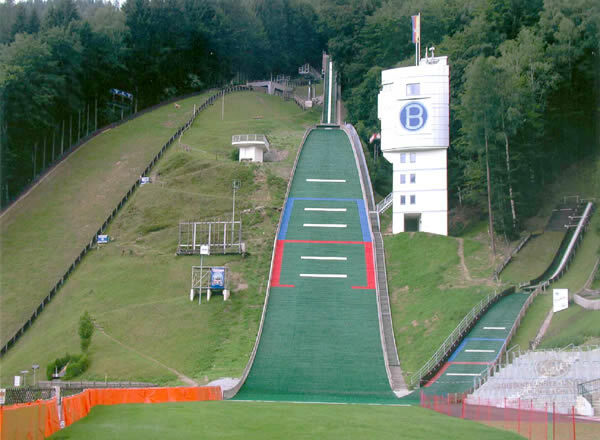 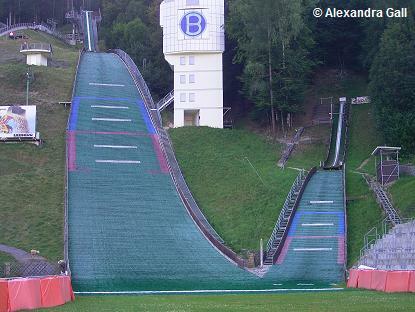 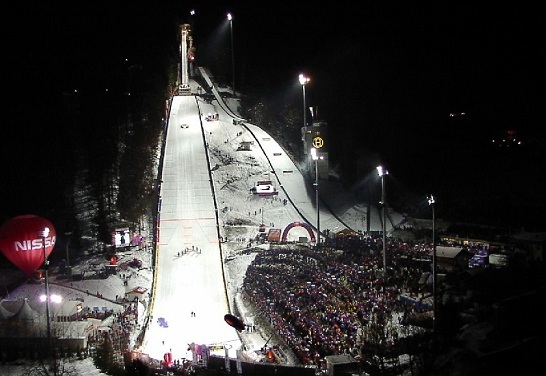 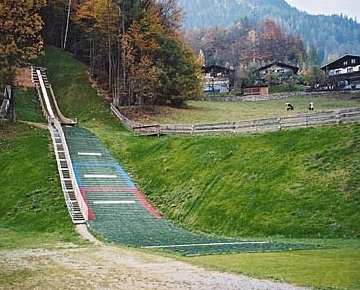 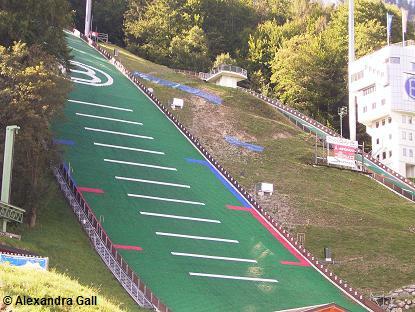 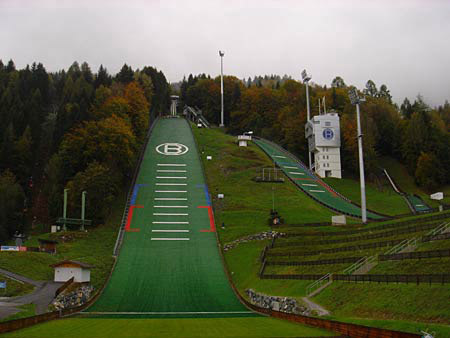 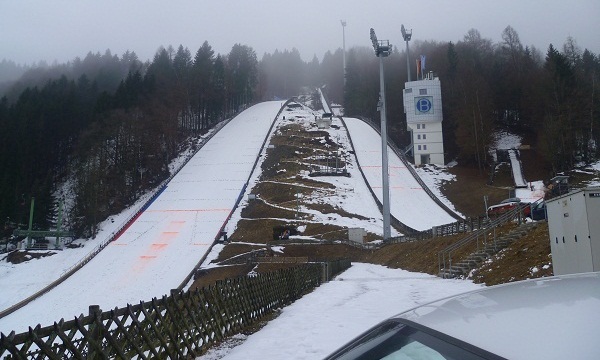 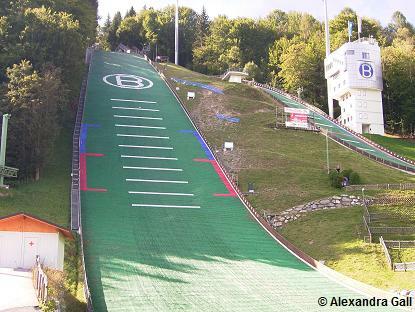 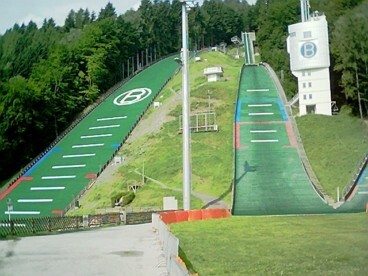 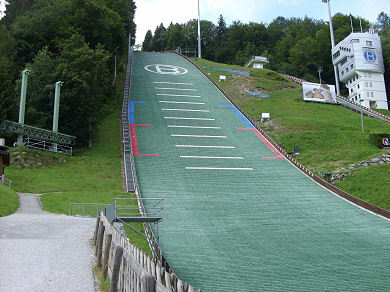 Finally in 2003 the jumping hill was once again enlarged and covered with plastic mattings in order to make the K125 jump usable in summer, too. 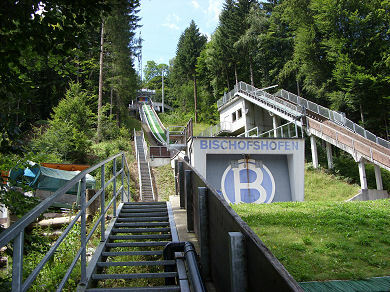 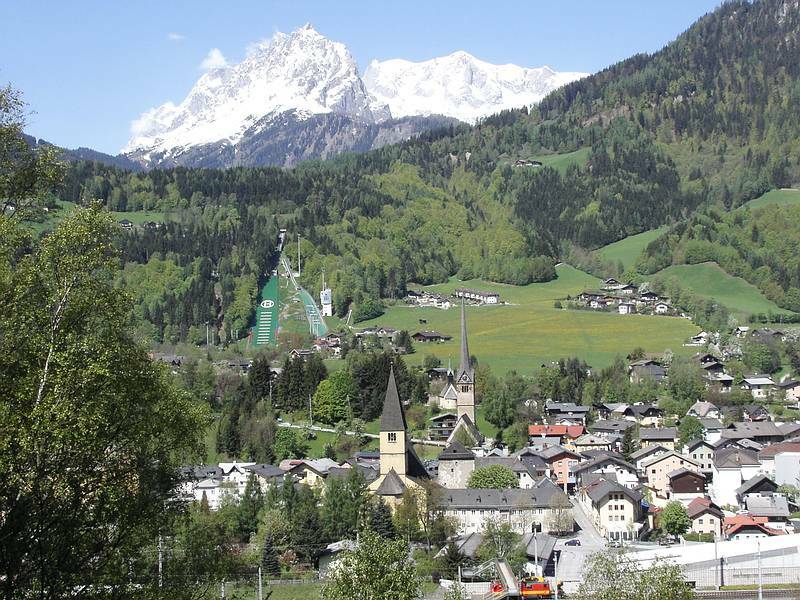 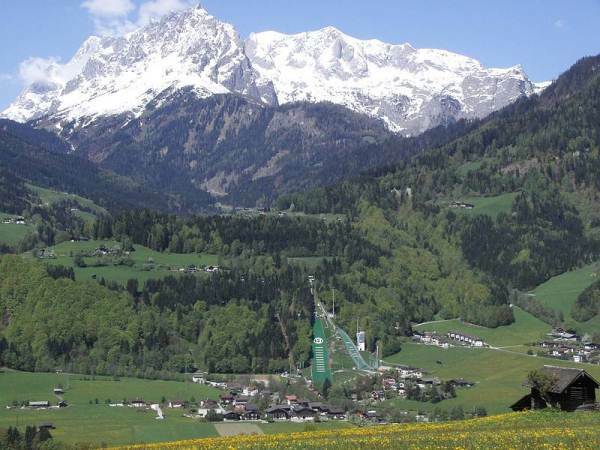 Bischofshofen has about 10,500 inhabitants and is in the Austrian State of Salzburg. 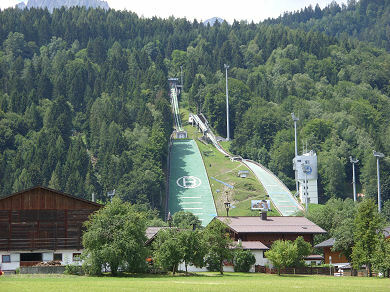 The main peak of the town is the Hochkönig. 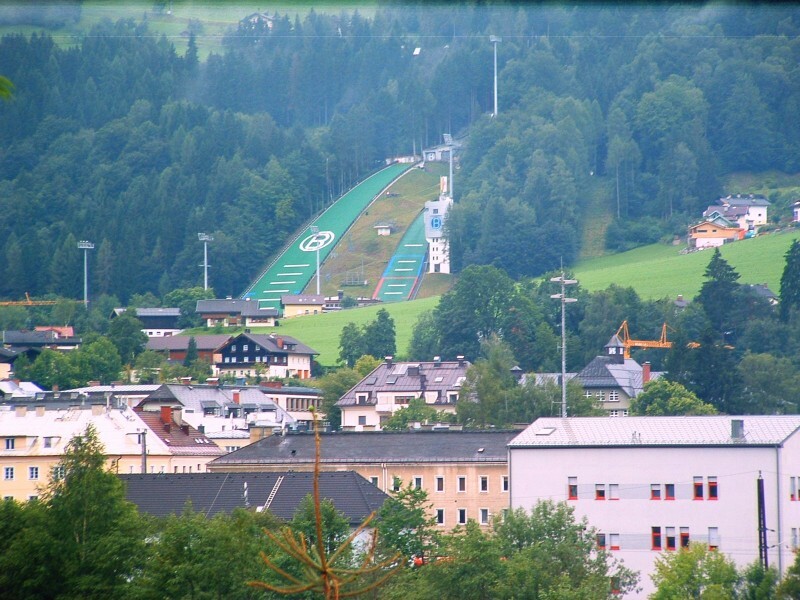 On the A10 coming to Bischofshofen is very easy and fast. 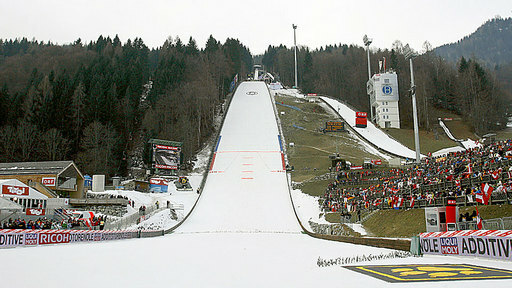 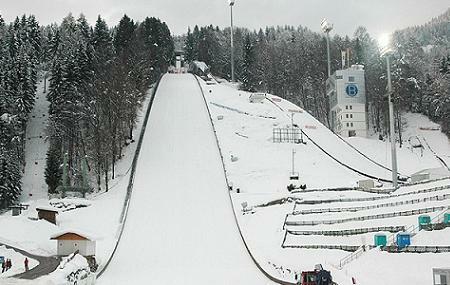 In winter time many big ski resorts are located near the Four-Hills-Tournament-Host.